Beistle 50066-GGD Green and Gold Party Beads-Small Round 6 Per Package. 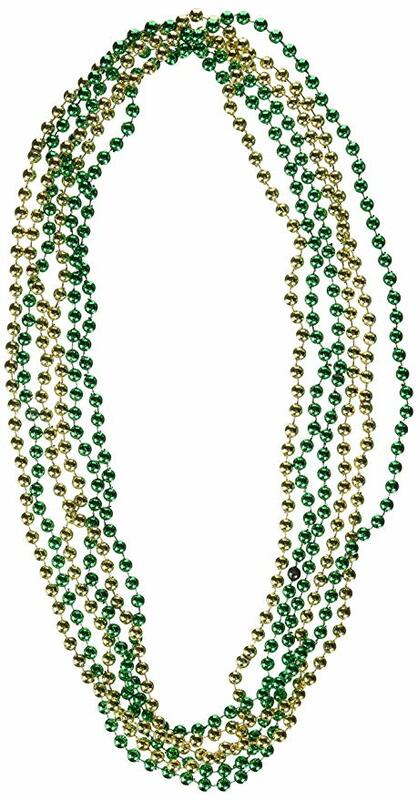 These green and gold party beads will be perfect for your St. Patty's Day event! Don't let any guest go without beads at your party!.